Chief Rabbis Shlomo Amar and Yona Metzger’s recent criticism of the government’s decision to pay the salaries of some Reform and Conservative rabbis is the latest manifestation of the long-standing dispute over Orthodox Judaism’s monopoly on religious life and rabbinical institutions in Israel. The debate over whether to pay non-Orthodox rabbinic salaries once again brings to the fore the ugly battle of Jew vs. Jew — the battle that the State of Israel often seems to deny exists, but that bubbles up to the surface time and again when secular and non-Orthodox Jews in Israel must put their beliefs aside and subject themselves to the stringent demands of the Orthodox establishment. This applies to conversions, Jewish weddings, divorces, burial in a Jewish cemetery and other rituals. One of the most common forms of discrimination that non-Orthodox Jews face is in seeking to be legally married in Israel: Jews who want to say “I do” must register with the local Orthodox rabbinate for their marriage to be considered valid by the state. Some converts, new Jewish immigrants, and others have had nightmare experiences at the rabbinate. They have been forced to dig up documents proving their Jewish heritage dating back several generations and meet other tedious demands. Sometimes the rabbinate denies them a Jewish marriage, and other times they simply prefer to get married abroad to avoid this taxing process. of the rabbinate here. Equipped with a copy of their marriage certificate and other necessary documents, I was sure the process would be smooth sailing. Instead it was an unpleasant, demeaning and disturbing experience that I — as someone with a strong Israeli-Jewish identity — was not anticipating. I admit my personal experience is not as traumatic as the nightmare stories I mentioned before. But I believe the Chief Rabbinate could nevertheless learn a few things from my story, because many non-Orthodox Jews, who make up the majority of the Israeli population [around 80% do not consider themselves haredi or religious], have similar experiences. Even before I arrived at the rabbinate a few weeks ago, when I called the rabbi’s office to ask about the process of registering for marriage, the man who answered seemed bothered by my call and hastily told me I could come to the office any day until 12:00 (despite the rabbinate’s website saying they are open until 1:00 p.m. and even later on some days). Their hours are so limited that people who have jobs have no choice but to miss a few hours, or even a full day’s work, to go there. The rabbinate requires prospective brides and grooms to bring two male witnesses with them to vouch that each candidate is single — meaning that not only did I have to miss work, but two friends who came with me had to as well. Upon our arrival at the rabbinate, the wait to see the rabbi wasn’t too bad, but he behaved as though he was doing me a favor by allowing me to enter his office. Not once did he look up at me while recording my information, nor did he utter a word except to clarify details in my documents. Once he completed the forms, he told me (without looking up) that we were finished, and I left. By the time I managed to get to the rabbinate, more than an hour had passed, but I tried my luck anyway, remembering that its website said the reception office — not the marriage registration department — was open until 4:30 p.m. When I arrived, I told the secretary I was there for my certificate. She went to get it, but before handing it to me, said, “You know we’re actually closed now, right?” Did she expect me to just leave since they were supposedly “closed”? I said, “Your website says you’re open till 4:30.” She responded, “No, that needs to be updated.” This argument continued for about five minutes before she finally agreed to give me my document. He then proceeded to question me about my family’s history and my father’s name. At one point, he said he was confused by my parents’ marriage certificate because their photos were flipped (my mother’s photo was supposed to be where my father’s is, and vice versa). “It’s not supposed to be like that,” he told me, as if I could go back in time and tell the rabbinate to glue the photos in the right place. I had already been through a local rabbinate, my parents were married in Israel under the rabbinate, I had all of my documents checked already — why did I need to go through all of this again? Finally the questions ended and the rabbi registered us. Then came the fun part. I was to meet with a rebbetzin to receive counseling on “relationships” and “family” before becoming a wife. These counseling sessions were not new to me — I knew that all brides in Israel who marry through the rabbinate must sign up for them. What was unfamiliar to me was the rebbetzin’s unwillingness to be accommodating when scheduling my two mandatory sessions with her. I asked if it was possible to have one double session instead of two separate ones, considering the 40-minute drive to her house. “That’s unacceptable,” she said. Why is the rebbetzin’s view on “family” and “relationships” considered to be the only acceptable view? Why do I have to adopt her views to receive the rabbinate’s permission to hold a Jewish wedding ceremony in Israel? I am obviously not the first person in Israel to raise such questions, nor will I be the last. Many secular or non-Orthodox Jewish couples unable or unwilling to meet the rabbinate’s demands have simply opted to get married abroad — usually in Cyprus, the U.S., or elsewhere. In fact, in the last decade, one in every 10 Israelis who got married did so abroad, and nearly 75% of them were Jews. 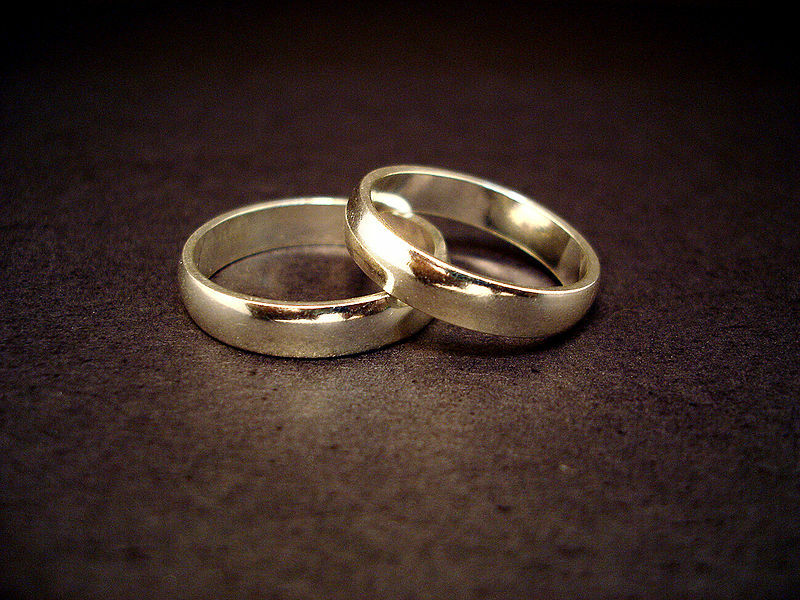 What kind of message are the rabbinate — and the state — sending when some secular Jews feel so alienated by the rabbinate’s demands that they choose to wed in another country? Rather than strengthening Jewish traditions for secular couples, the rabbinate essentially pushes these couples away. Non-Orthodox Jewish couples who want to marry in Israel and have their ceremony be recognized by the state are forced to accept the rabbinate’s traditions, often against their will, rendering them essentially meaningless: Accepting these traditions is (an inconvenient) way to get the rabbinate’s stamp of approval — and they are generally forgotten once the process is over. If having the religious establishment exercise jurisdiction over marriage and other rituals in Israel is something Israelis must accept as citizens of the Jewish state, then so be it. But because it is indeed the state of the Jews, some Jews’ views shouldn’t be preferred over others. Unless it wants to continue pushing non-Orthodox Jews away, the Orthodox-controlled Chief Rabbinate must reform itself. It must be more inclusive and more welcoming of Jews’ different beliefs and lifestyles. It must ease its draconian demands on those who don’t conform to its views but still want a rabbi to officiate at their wedding. The local rabbinates could also show more respect toward clients and have more flexible hours, taking into consideration that most non-Orthodox Jews work full-time jobs. But if the Chief Rabbinate insists on maintaining its ways, the state should not bar Jewish couples from choosing other options for Jewish marriage. The government should not only pay the salaries of non-Orthodox rabbis but should also consider expanding their powers to allow them to officiate over Jewish weddings. Orthodox rabbis concerned with preserving the Jewish character of the state should welcome such a move: Instead of deciding to marry abroad out of frustration with the rabbinate, non-Orthodox Jewish couples would have other options. They would have the freedom to be married under non-Orthodox Jewish practices in Israel instead of going abroad where they may not have a Jewish marriage at all. However, instead of becoming less stringent, the Orthodox religious establishment seems to be growing more intransigent and more set on placing obstacles in the path of non-Orthodox Jews who want to wed in Israel. Just this week Rabbi Yaakov Yosef, the son of former Chief Rabbi and Shas spiritual leader Ovadia Yosef, said Orthodox rabbis should wed secular Jewish couples only with “fake witnesses.” In the event they “do not remain faithful” to one another their marriage will not count, he explained.